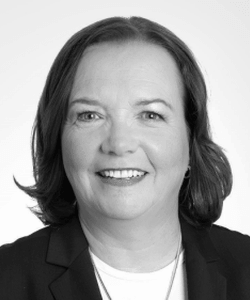 Patricia Leonard Kampling is chairman and chief executive officer of Alliant Energy Corporation (NYSE:LNT), a Madison, Wisconsin-based energy company that provides nearly 1.5 million customers in Iowa and Wisconsin with safe, reliable, affordable electricity and natural gas service. Alliant Energy also has ownership interest in American Transmission Company, Great Western Wind, and Alliant Energy Transportation. Pat joined Alliant Energy in 2005, initially as Vice President of Finance, and was named Chief Financial Officer in 2009. In 2011, she was named President and Chief Operating Officer and assumed her current role as Chairman and CEO in 2012. During Pat’s leadership, the company has consistently met its financial and operational objectives and successfully achieved creative and constructive regulatory outcomes. In addition, Pat has guided the company through its journey toward a cleaner, smarter energy future with a focus that promotes environmental stewardship while ensuring customers have access to a more resilient energy grid and diverse, sustainable energy mix. Since 2005, the company has reduced carbon dioxide emissions by 25 percent and plans to reduce emissions by 40 percent by 2030 and 80 percent by 2050. A strong advocate of workforce development and community vitality, Pat actively supports STEM-related education programs and partnerships with non-profit organizations that focus on education, families and the environment. Throughout Pat’s leadership tenure, Alliant Energy has enhanced its culture of safety, diversity and employee well-being with an array of programs and opportunities that foster employee diversity, health, and personal and professional growth. Pat is in an elite group as one of only a handful of female CEOs in the S&P 500, and the company is routinely recognized nationally for achieving gender parity on its Board of Directors. Prior to joining Alliant Energy, Pat spent more than 20 years at Exelon Corporation beginning her career as an engineer with PECO. She quickly rose through the ranks and ultimately served as Treasurer of Commonwealth Edison and as Senior Vice President and CFO for Exelon Enterprises. Pat holds bachelor’s degrees in Engineering and Economics from Swarthmore College in Pennsylvania, an MBA from the University of Chicago Booth School and is a licensed Professional Engineer. She serves on the Boards of Directors of Briggs and Stratton Corporation (NYSE:BGG) and American Transmission Company. Pat also serves on the Boards of The Nature Conservancy in Wisconsin, the Edison Electric Institute and Electric Power Research Institute, and is involved in numerous civic and community activities.